You can’t do fall without something pumpkin spice, right? 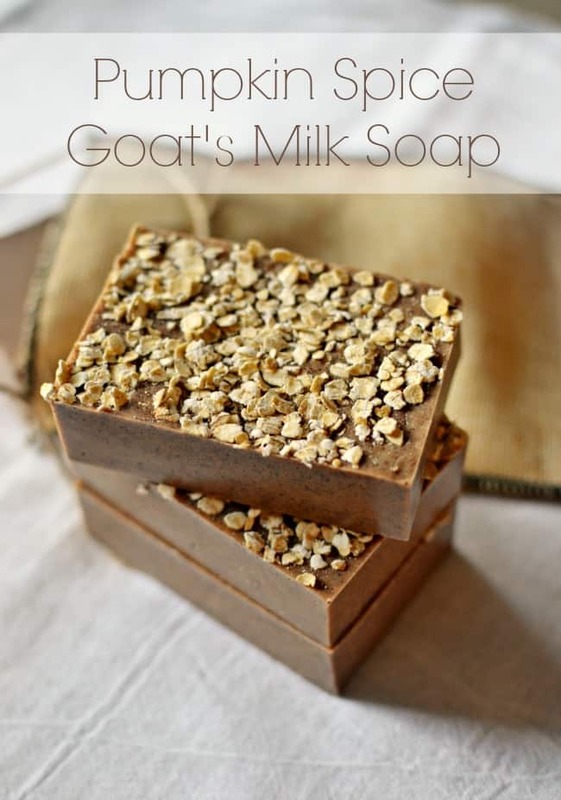 Today I don’t have a pumpkin spice latte for you but I do have some homemade pumpkin spice goat’s milk soap. 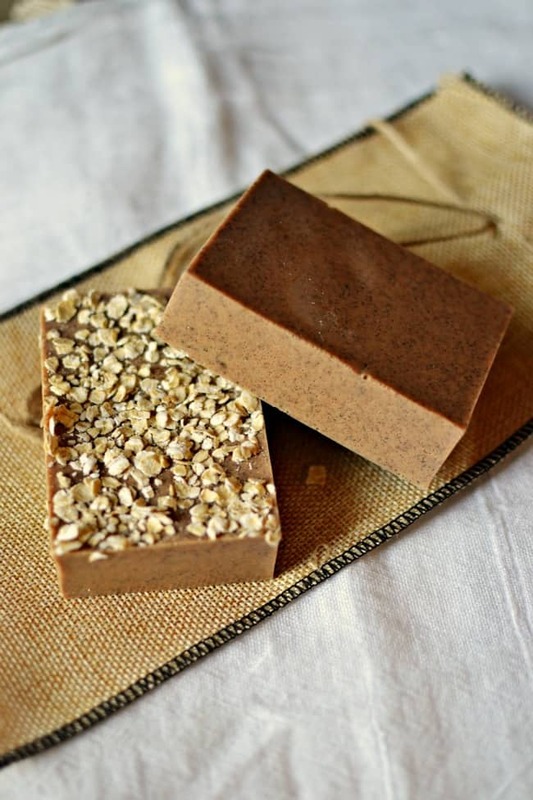 This soap recipe is super simple and you can be bathing in a scent of fall by bath time. This version of pumpkin spice soap smells of creamy pumpkin with just a hint of spice. 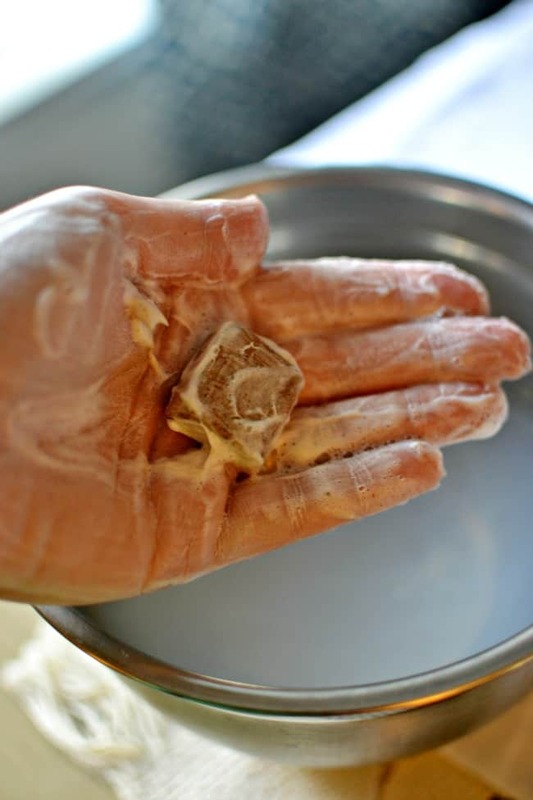 Melt 1 lb of goat’s milk soap in the microwave, 30 second intervals. Once the soap is fully melted add in 2 tablespoons pumpkin pie spice and mix well. Now you can add in your soap colorant. I added in approximately 4 drops of red and 8 drops of yellow. Add the amount to your desired coloring but use the 1 part red to 2 parts yellow ratio. Do not use food coloring. Using food coloring could come off in your bath and stain your tub or your skin. You are now ready to pour into your soap molds. At this step I added some oats to 2 of the bars. These are great for exfoliation. 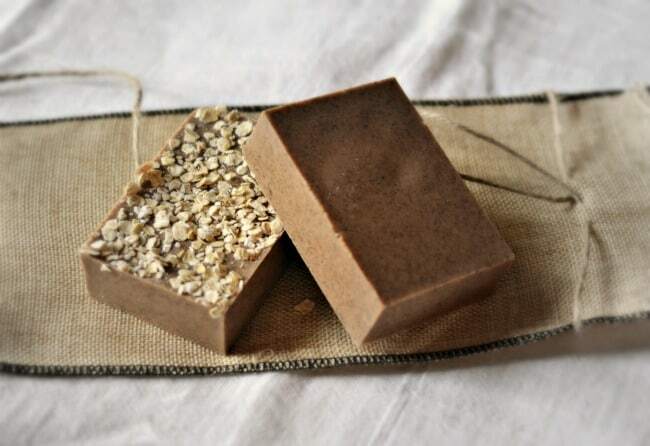 You can also add the oats to the mixture before pouring into the molds so the oats are throughout the entire bar. Allow the bars to set until completely cooled. Here is a quick video tutorial for those of you who would rather see how it’s done. These pumpkin spice goat’s milk soap bars make the perfect gift for family, friends and teachers too. They smell divine and lather perfectly. As you can tell I have a small piece in the picture below. These bars slice really easily so you could cut up the bars for even more gifts or to use sparingly.